Season’s Greetings and a Happy New Year from the team at Learn to Trade. We just wanted to take a moment and thank you for choosing Learn to Trade for your FX trading Experts. We greatly appreciate your business and the opportunity to assist you on your journey to financial freedom. 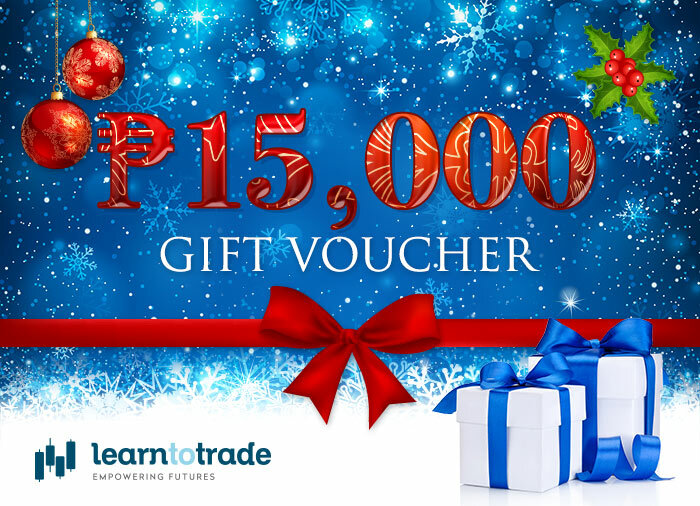 To encourage you to start the New Year with serious trading goals, we’re offering a special Gift Voucher to the value of ₱15,000*, as a Christmas Gift from us to you. You can use this voucher yourself or give it to someone special, to save on Learn to Trade courses or programmes in the New Year. We hope you enjoy this very special offer and we look forward to working with you in 2018! Redeemable on New Purchases in Philippines Only (Courses or Programmes; Excluding coaching), after the 4th January 2018; not redeemable for cash; not to be combined with any other offer. Valid until the expiry date shown on the card – 28th February 2018; course must be booked before this date.